Anemia is considered to be an anomaly in either the size or number of red blood cells in the body. 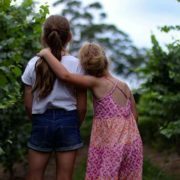 Depending on how the disease manifests it can have a number of origins, but the most important causative factors are definitely related to nutritional issues. This decrease in either the amount of red blood cells or the reduction in hemoglobin results in a decrease in the amount of oxygen that the blood can carry to the other cells of the body. As a result, aerobic respiration and cellular energy production in the mitochondria is effected. When the cells have less energy to perform normal processes, overall bodily activity tends to slow down and become less efficient, and patients tend to be overly fatigued. Muscular activity can decrease, as can cell repair and regeneration. The brain requires a sufficient constant supply of oxygen and glucose to function. When there is deficient oxygen supply to the brain, mental clarity can be affected and the patient may feel dizzy. Description and Pathogenesis: Iron deficiency or hypochromic-microcytic anemia is by far the most common type of anemia. 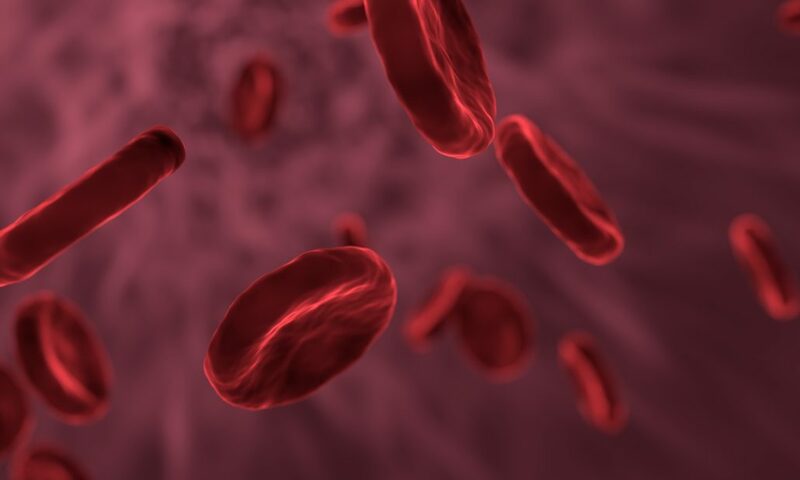 Iron is necessary to form hemoglobin which is the component of the red blood cell that attaches to oxygen and transports the oxygen to other cells, as well as binding to carbon dioxide to deliver it to the lungs where it is released. Normally red blood cells have a life cycle of 120 days. After that period of time, or when they are damaged, they are phagocytized in the liver and spleen by macrophages. In the liver, the hemoglobin is split into heme and globin, and then the heme is decomposed into iron and biliverdin. Iron is then returned to the bone marrow via the blood for re-use in the synthesis of new blood cells, or is stored in the liver (and some other tissues such as the spleen and the bones) as ferritin. Although the majority of the iron that is reclaimed from the damaged blood cells is usable by the body, there is some loss that must be made up for by dietary iron intake. Although there can be an abundant supply of iron in many foods, the capacity to absorb available iron from foods in the small intestine is less than optimal, as the mechanism for the absorption involves active transport and consequently occurs slowly. It is estimated that 70-99% of the iron ingested gets excreted in the stools, depending on the tissue stores of iron in the body. If stores are depleted, the body enhances the absorption of available dietary iron. Once iron is absorbed and stored in the body as hemoglobin or ferritin, the principle ways it can be last are through bleeding, menstruation in women or pregnancy. If a patient has inadequate iron leading to hypochromic anemia they may have fatigue, although this has not been completely correlated with decreased hemoglobin levels, and may have to due with depletion of iron-containing enzymes. Other symptoms such as anorexia, weakness and pica can have their roots in either iron deficiency anemia or depletion of iron containing enzymes. Later stage symptoms can include deformation of the epithelial tissues such as the fingernails, mouth, tongue and mouth. Fingernails can become flat, thin or spoon-shaped. The tongue can become shiny and smooth due to atrophy of the tongue papillae. It may also become red and swollen. Paleness of the conjunctiva and angular stomatitis are also possible symptoms. Chronic blood loss, which can occur during heavy periods, bleeding ulcers, hemorrhoids, and possibly malignancies. Increased iron requirement for growth of blood volume, which usually occurs in children and pre-post pregnancy. Other factors such as copper deficiency, which is required for its transportation into the hemoglobin molecule, or parasitic infection due to intestinal dysbiosis. Hemoglobin. (HGB) Under 13.5 g/dl is below range. Hemoglobin can also be decreased in hemorrhage, digestive inflammation, liver dysfunction or free radical pathology. Hematocrit (HCT) or Packed Cell Volume (PCV) Under 37% in females and 40% in males is low-end. This test measures the volume of RBC’s in a certain amount of plasma by packing the cells together by centrifuge. It can also be low in other diseases. Mean Corpuscular Hemoglobin (MCH). Under 27.0 micrograms is out-of-range. This test measures by weight the amount of hemoglobin in a red blood cell. Can also be decreased in internal bleeding, and possible heavy metal toxicity. Mean Corpuscular Hemoglobin Concentration (MCHC) Under 32.0 g/dl is low. MCHC measures the average concentration of hemoglobin in a larger sample of cells. This marker is useful in diagnosis of hypochromic iron deficiency anemia. Red Cell Distribution Width (RDW) Over 13 is problematic. This test measures the number of cells that are of varied size, which can occur in both microcytic (iron deficiency) as well as macrocytic (B vitamin) anemias. Serum Iron. Below 85 ug/dl is suspect. Though this marker is important, it is possible to have normal levels of serum iron and decreased hemoglobin, as it may lack co-factors necessary to allow it to be transferred into the hemoglobin. It is most useful by itself in diagnosis of hemochromatosis. Total Iron Binding Capacity (TIBC). Over 350 ug/dl is diagnostic. Transferrin carries iron from the intestinal mucosa and other storage site and delivers it to the bone marrow for hemoglobin synthesis. When iron levels are low it increases in the blood in an attempt to “grab on” to the iron. Iron Saturation. Under 15% is low. This is the calculated amount of iron bound to transfererin. Serum Ferritin. Below 10 (periods) or 33 (no periods) ng is out-of range. Ferritin is a glycoprotein that stores iron. It is a more specific marker for the iron stores in the body, and therefore the most reliable indicator of iron values. Nutritional Considerations: In addition to levels of stored iron, copper is a necessary mineral to release iron from its storage sites and transfers to the hemoglobin production site. Enzyme and HCL deficiency in the Gastro-intestinal tract, causing less-than optimal conditions for digestion and absorption of minerals, and possible contribution to intestinal dysbiosis and parasitic infection since HCL helps to kill off parasites and bacteria prior to transport of food into the intestines. Vitamin B6 is important in the synthesis of Heme. Vitamin C is also essential in absorption of dietary iron. Intestinal dysbiosis and parasitic infections can be important, especially parasites as they tend to bind and use iron supplies that are important to their own development. Dietary plans to assist in the recovery from iron-deficiency should include good sources of dietary iron. Meat sources-being sources of Heme iron are consequently more bio-available. This type of iron is found in most meat and animal products: beef, chicken, fish, pork shellfish, etc. Organic calves liver is the best source. Non-heme sources of iron are dark leafy green vegetables, such as, mustard greens and dandelion greens, beets and beet greens, legumes such as lentils, lima and kidney beans, and grains such as amaranth, or quinoa. Nuts and seeds such as walnuts and pumpkin seeds are also valuable. To maximize iron absorption from non-heme foods, vitamin C rich foods also need to be supplemented, including berries, guavas, grapes, papayas and citrus fruit if tolerated. Foods that can inhibit iron absorption are foods that contain tannin such as tea and red wine, calcium, which competes for absorption, soy proteins and phytates, which are found in grains such as whole wheat and wheat bran. Organic Black Strap Molasses: 1 Tbsp twice daily. Molasses is very high in absorbable iron. Vitamin B complex: 50mg to aid in metabolism of iron. Copper- 2mg per day if it is determined necessary. Note: Take iron away from thyroid medication as it can bind in the stomach. This therapy should be used fro about 6-9 months to restore the ferritin surplus. 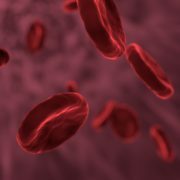 Re-check iron levels and other markers in blood every three months, as iron supplementation, whether supplemental or dietary should not go on for prolonged periods of time, as it can lead to hemochromatosis or iron poisoning (so watch out when using cast-iron cooking utensils constantly). Women may have to supplement iron at period time indefinitely, but should also not take supplemental iron all the time. Description and Pathogenesis: These anemias, also referred to as megaloblastic or macrocytic (and in the case of pure B12 deficiency anemia-pernicious) result from problems forming red blood cells. Vitamin B12 is an important nutrient in DNA synthesis and subsequent RNA transfer. Red blood cells contain no nucleus, and are formed from stem cells in the bone marrow. When there seems to be defective DNA synthesis, cellular RNA synthesis in the red blood cells continues, producing a large disordered cell-the megaloblast or macrocyte. The interference with the normal maturation of the cell and lends it susceptible to untimely death. This renders blood cells incapable of performing the adequate transfer of oxygen to other cells. The red blood cells are both deficient and impaired in function. In folic acid deficiency, a metabolite of folic acid (the co-enzyme tetrahydrofolic acid) aids in production of heme by binding on a carbon molecule, so the protein part of the molecule can then bind. It is also an important nutrient in terms of correct DNA and RNA synthesis, and anemia due to folic acid deficiency can be remarkably similar to Pernicious anemia. Since Vitamin B12 is also a very important component in the composition of the myelin sheath, neurological symptoms can be one way of differentiating the two types of anemia. Symptomatically patients can be weak and tired, experience dyspnea, diarrhea and forgetfulness, dizziness, headache, anorexia, irritability, sore tongue or other general symptoms of anemia. In Pernicious anemia, there can be neurological signs and symptoms such as parasthesia, poor memory, lack of coordination, and possible hallucinations. This can be due to a variety of causes, including drug interference, malabsorption due to intestinal diseases including diseases of the ileum as B12 is absorbed there, or congenital. Diseases involved can be parasitic, crone’s disease, celiac disease, irritable bowel disease, etc. Lack of intrinsic factor, in the case of B12 anemia, as this renders it soluble for absorption through the intestines. There can either be low intrinsic factor or the body can produce antibodies to it. Liver Disease, in the case of Folate deficiency. Risk Factors: Patients with a history of lower bowel disease, liver disease, pregnant women, children, and vegetarians. Nutritional Considerations: Since there is relatively little B12 available in an exclusively vegetarian diet, this is an important concern for vegetarians. Poor diet that contributes to bowel and intestinal abnormalities can be a part of the problem. Vitamin C is required to convert folic acid into it’s active form. When vitamin B12 and Folate are both deficient, likely there will be deficiency of vitamin B6, and this can point to problems with homocystiene, and consequent damage due to free radical activity. Deficiency of digestive enzymes are also important causative factors in macrocytic anemia, as proper digestion in the stomach is necessary both B12 and folate absorption, as well as for maintaining the health of the lower GI tract and avoiding problems leading to malabsorption. If patient is vegetarian, they should probably consider adding B12 supplements in the form of ferments such as brewers yeast. Some vegetarians maintain that sufficient B12 can be synthesized from the intestinal flora, as well as by minute amounts in some vegetables and fermented products. Although this may be theoretically true, this can be dependant on how healthy their intestinal flora is. Some sea vegetables such as nori or some of the micro-algae can be beneficial in obtaining B12, but should be taken with enzymes or fermented products high in enzymes to aid in absorption. This is especially important in Vegan children as they tend to already be susceptible to anemia. Patients should address causative issues such as intestinal problems and abnormal digestion or absorption before anemia can develop. Foods high in folate and B12 are recommended. Foods high in folate include brewers yeast, liver, asparagus, dried beans, spinach, romaine lettuce, dark leafy vegetables, broccoli, and wild rice. Foods high in B12 include salmon, lamb, lobster, tuna, brewers yeast, nori, blue-green algae, and other sea vegetables. Foods high in vitamin C and bioflavanoids should also be used, as in iron deficiency anemia. Folate: 1-5 mg per day. B12: 1000 mcg per day. For 1 week, then 3 mcg sublingually thereafter. Diet plan: Higher in iron rich protein, moderate in carbohydrates, rich in antioxidants, moderate in fat. Antioxidants such as vitamin C keep iron in a reduced state for better absorption and assist with treatment of oxidative stress as a consequence of depleted B vitamins.